Dachau Concentration camp half-day tours in English depart daily at 9.15 (all year), 10.15 (June-July), 12.15 (April-September). Dachau Concentration Camp half-day tours in Spanish depart at 9.15 on Sundays, Tuesdays, and Fridays (April-October), and on Sundays and Fridays (November-March). Take the early tour to avoid crowds during the peak season. We are comparing Dachau Concentration Camp Half-Day Tour from Munich Prices from leading ticket suppliers and Try to find you Cheap tickets prices on the market. An unpleasant but important part of Munich's history during WWII and the years leading up to it was the creation of the Nazi prison and forced labour camp, located just outside of a town which was once known for its picturesque scenery and medieval history. For an authentic and unglorified lesson in the events of the Holocaust, you can travel to the infamous Dachau Concentration Camp and Memorial Grounds with an authorised local guide. This 5-hour excursion from Munich will take you by public train and bus to the former Nazi Prison where a sensitive and knowledgeable guide will take you all areas of the camp including the remaining buildings and exhibition centre. During the 3 hours at the Memorial Site your guide will talk you through the camp, its function, the oppression on its occupants and the warped Nazi ideology that allowed atrocities and genocide to take place. A visit to Dachau Concentration Camp and Memorial Grounds is for people who want to gain a detailed and accurate understanding of the events of the Holocaust. It is a good option for visitors who do not want to organise their own transport to the Memorial Site. Suitable for small groups or individuals. This tour may not be appropriate for minors due to the sensitive and unsettling nature of the content. Your Experience With Dachau Concentration Camp Half-Day Tour from Munich? Pay your respects to the thousands who were imprisoned in the notorious Dachau Concentration Camp. Visit the Memorial Site and Exhibition Centre to learn about the events that took place. Hear the unglorified history of the Holocaust, WWII, and the thousands of people who suffered at the hands of the Nazi's. Take a fully guided half-day tour in English or Spanish with an authorised Dachau Memorial guide. Travel by German rail and local bus to the Memorial site. What Dachau Concentration Camp Half-Day Tour from Munich Includes? Return transport from Central Munich to Dachau Concentration Camp by train and bus. Fully guided half-day tour with a certified guide. Central Munich – train to Dachau – bus to the Concentration Camp and Memorial Grounds – Return to Central Munich. This tour provides an excellent insight into the atrocities of the Holocaust within a Nazi Concertation Camp and could be combined with a Third Reich Walking Tour in Munich for a comprehensive understanding of Nazi Germany. Travelers Reviews about Dachau Concentration Camp Half-Day Tour from Munich? The Dachau Concentration Camp Tour with Radius Tours is one of the most popular tours available in Munich with a TripAdvisor rating of 5 stars. Comments say that the tour guides are informative and sensitive, the transport is well organised and convenient. Visitors describe the visit as an interesting and sober experience, a must for anyone wanting to learn about the Holocaust. Please contact your tour supplier, or Radius Tours, in advance. You will receive your booking confirmation via email. Tickets will be accepted in paper or electronic form. Tickets are refundable up to 48 hours prior to tour date. For tickets purchased with Viator there will be a 50% cancellation fee for any cancellations made within 3-6 days of tour date. 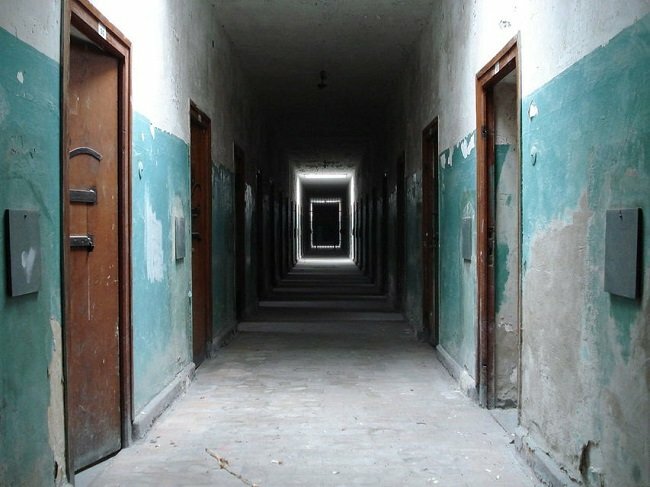 This tour visits a former concentration camp and participants should be aware that it will contain content of a disturbing and upsetting nature. Parents should consider this if planning to visit with children. All visitors should behave in an appropriate and respectful manner whilst inside the memorial site. Please come prepared with water and snacks as no food or drinks will be available at the memorial site. We recommend wearing comfortable footwear and bringing a sun hat during the summer months. Tips will be accepted but not within the grounds of the memorial. Discounts are available for students with a valid student ID. Meeting Point: Munich Central Train Station, Hauptbahnhofplatz, Munich. Please go to the Radius Tours office, located inside the train station, opposite tracks 32-34.